Are you looking for the most reliable SUVs out there when researching your next family vehicle? Luckily, Ford offers some of the most powerful and safest SUVs on the market today. To help you learn more about these highly capable and comfortable SUVs, and to find the one that’s right for your family, the experts at Westlie Ford have put together this overview of the Ford SUV lineup. When you’ve finished reading about the exceptional Ford lineup of family SUVs, head over to our new SUV inventory to see the models available at our Ford dealership in Washougal, WA. As one of Ford’s most compact SUVs, the new Ford Escape is perfect for growing families. With the Escape, you’ll enjoy nearly 70 cu. ft. of cargo space and a multitude of advanced safety systems to keep your loved ones safe. Check out key features of the Ford Escape below, and then explore our available models in our new Escape inventory. Families looking for more space should consider the new Ford Edge. It offers more cargo space and convenience features than the Escape, as well as an available DVD entertainment system. View key features of the Ford Edge below, and then see our available models in our new Edge inventory. If you need increased capability in your next Ford SUV, you can’t go wrong with the new Ford Explorer. It boasts increased passenger and cargo capacity, as well as towing power. Take a look at key features of the Ford Explorer below, and then browse our available models in our new Explorer inventory. If you have a large family or need to transport a lot of gear, the new Ford Expedition is the right choice for you. As Ford’s largest SUV, the Expedition comes equipped with a plethora of intelligently designed convenience features, including easily configurable seating, more than a dozen cup holders, and innovative tech. Learn about key features of the Ford Expedition below, and then check out our available models in our new Expedition inventory. Do you have a growing family? With seating for up to eight passengers, the Ford SUV lineup has the diverse space your lifestyle requires. Select SUV models also come equipped with features such as a hands-free liftgate, 60/40 split folding seats, and a Second Row EasyFold® rear seat back release. To learn more about the cargo space each model has to offer, take a look at the table below. 2018 Ford Expedition 8 171.9 cu. ft. 104.6 cu. ft. 57.5 cu. ft.
2018 Ford Flex 7 155.8 cu. ft. 83.2 cu.-ft. 43.2 cu. ft.
2018 Ford Edge 5 113.9 cu. ft. 73.4 cu. ft. 39.2 cu. ft.
2018 Ford Escape 5 98.7 cu. ft. 68 cu. ft. 34 cu. ft.
2018 Ford Explorer 7 151.5 cu. ft. 81.7 cu. ft. 43.9 cu. ft.
Ford is known for engineering some of the safest vehicles available. Safety-conscious drivers will appreciate the cutting edge features such as a rearview camera, Brake Assist, and the SOS Post-Crash Alert System™. Now that you’ve learned a little about the best family SUVs Ford has to offer, check out our finance and lease deals to find a great deal on your favorite model! 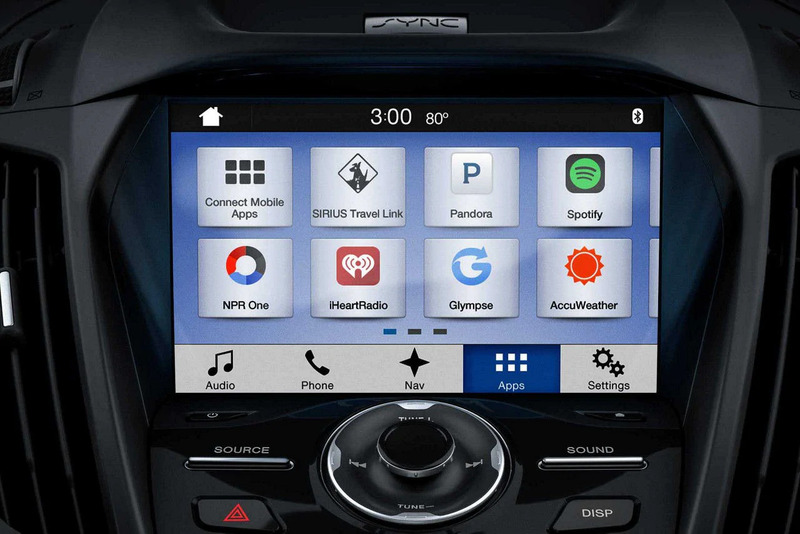 If you have any questions, feel free to reach out to the Westlie Ford team through our contact form, or call (360) 602-2490 to speak with a product specialist directly.